1st Choice Health & Wellness provides New Albany, IN with physical therapy rehabilitation services Monday through Friday. Regardless of whether you need physical therapy for an injury or a chronic health condition, our physical therapy/chiropractic techniques can help. Our highly-qualified team provides both preventative and rehabilitation services based on the needs and goals of our patients. We also provide physical therapy services to high school, college, and university sports teams, as well as professional athletes. Our team of experienced and certified professionals is here to help you live a healthier, happier life! Call 812-945-4500 today to schedule your free consultation! Physical therapy is a non-invasive, personal, and direct treatment that helps patients maintain or restore maximum physical function. Physical therapy can be done at any age and is used to treat injuries, aid in the healing process, relieve pain, treat a chronic condition, and prevent future injuries. 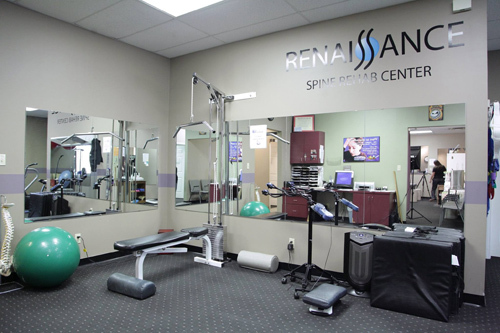 The main goal of physical therapy is to improve both your health and overall quality of life. Physical therapists will generally conduct an evaluation by physically examining you and looking over your medical history. Using this information, the physical therapist will recommend a treatment plan, recommend a certain number of repeat visits in order to monitor your progress, and provide hands-on support during exercise routines. Physical therapists will also recommend treatments to help keep your body working at its best. They will even show you how you can avoid injury while working, having fun, or working out. In order to better evaluate your body, your physical therapist will assess your joint motion, functional ability, balance and coordination, muscle performance, posture, function of your heart and lungs, and daily activities. This will give him or her better insight into your needs and goals. While these aren’t the only ailments and injuries that physical therapy helps treat, they are the most commonly treated. Whatever issue you may be living with, our team is here to help offer the best treatment possible. Our physical therapist will recommend the appropriate treatment(s). Follow their recommendation closely. IASTM is a specialized technique used in the treatment of muscle strain, ligament strain, plantar fasciitis, tendonitis and many other orthopedic conditions. Tim Miller PT Med is our physical therapist here at 1st Choice Health & Wellness. He is certified in IASTM and has been getting great results with this technique. If you have chronic pain or a restricted or frozen joint, call us at 812-945-4500 to see how we can help you. Instrument Assisted Soft Tissue Mobilization (IASTM) is a process in which the clinician uses a set of hand held instruments to break down the scar tissue and fascial adhesions in soft tissues (muscles, ligaments, tendons, fascia and nerves). These adhesions and scar tissue can cause restrictions resulting in pain and inflammation, even immobilization of joints. Once the damaged areas are detected, the instruments are used to deliver controlled stimulation to the affected area. The purpose of this stimulation is to create a local healing response, which initiates reabsorption of excessive scar tissue and facilitates a cascade of healing activities. Adhesions within the soft tissue that may have developed as a result of surgery, immobilization or repetitive strain are broken down allowing the patient to regain function. Our experienced and certified physical therapists have experience with a wide variety of treatments and we will ensure that your treatment is tailored to your lifestyle, needs, and goals. 1st Choice Health & Wellness has been servicing New Albany, IN and surrounding since 1989. You don’t have to live with pain any longer! Call (812) 945-4500 today and schedule your free evaluation!